the Avital Lang Gallery in Moullie Point, Cape Town. 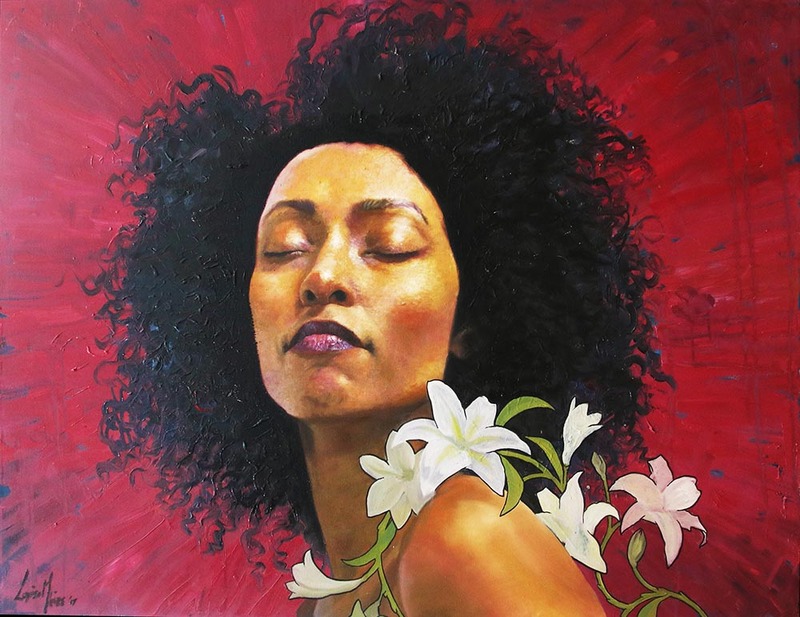 2013 | His third Solo exhibition titled, Reflections Eternal, opened on the 6th of July 2013 at the Yiull Damaso studio and gallery in Craighall, Johannesburg. 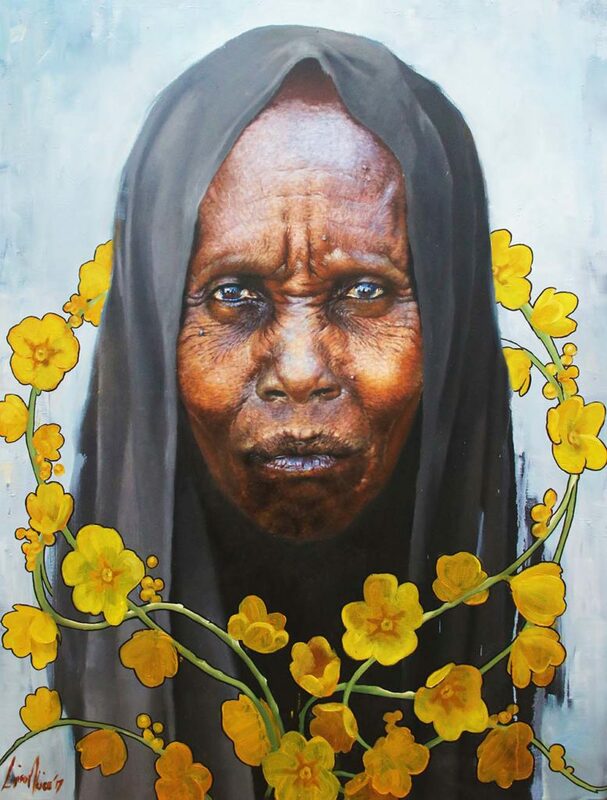 Mkize was commissioned by the Out of Africa foundation in 2013, to paint a big portrait of Arch Bishop Desmond Tutu, the unveiling of which was attended by the Archbishop himself and family. 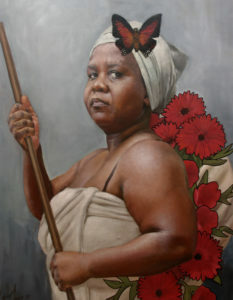 The artwork is regularly hung in numerous locations in Cape Town including the airport as a beacon of cancer awareness. 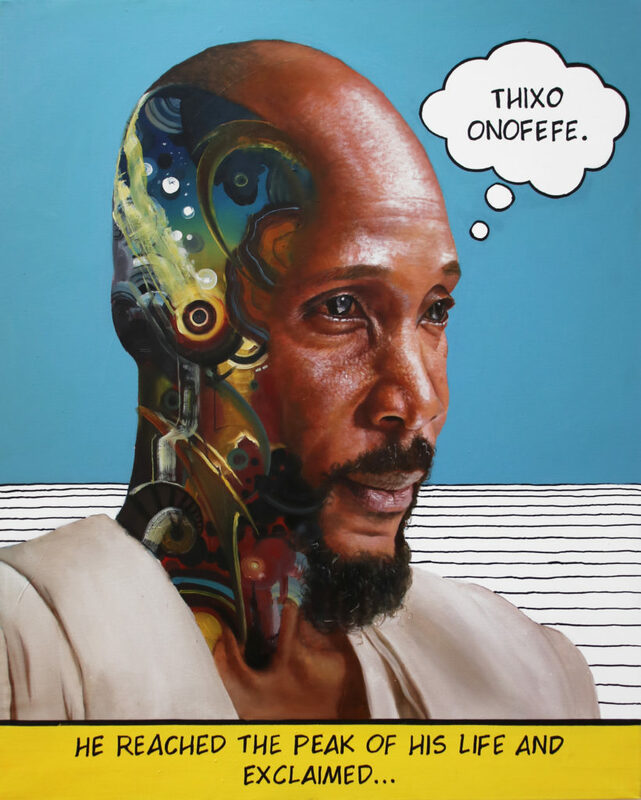 2015 | His forth Solo exhibition titled, Reflections, opened on the 1st of September 2015 at the Eyethu Gallery in Soweto, Johannesburg. 2016 | “That ArtFare” in Cape Town, 2016. 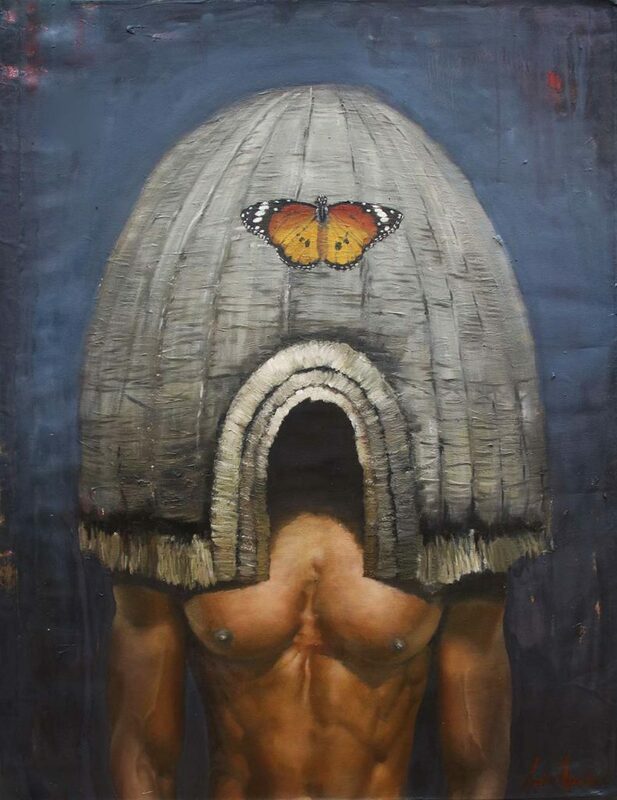 He has also done a group exhibition in New York endorsed by the DTI. 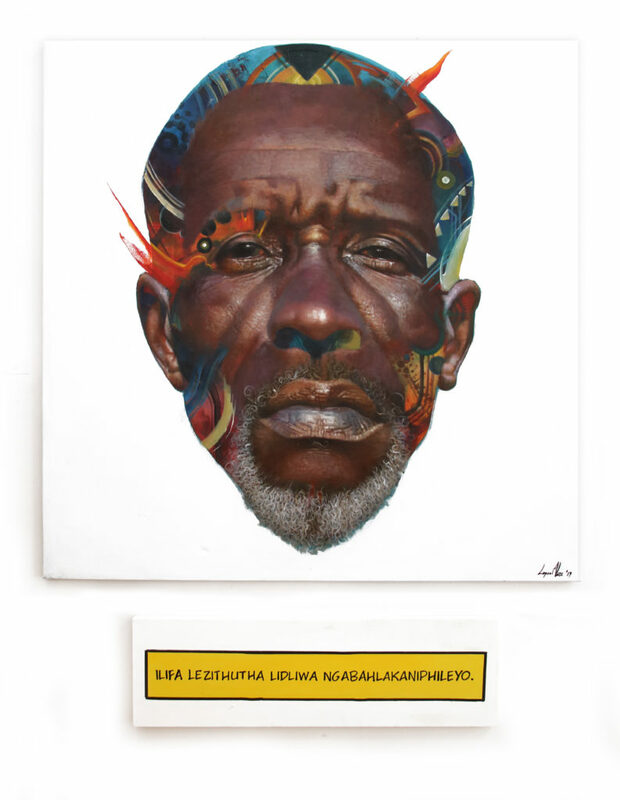 He was also part of a group exhibition in the Goree Island of Dakar Senegal late 2016 endorsed by the National Arts Council. 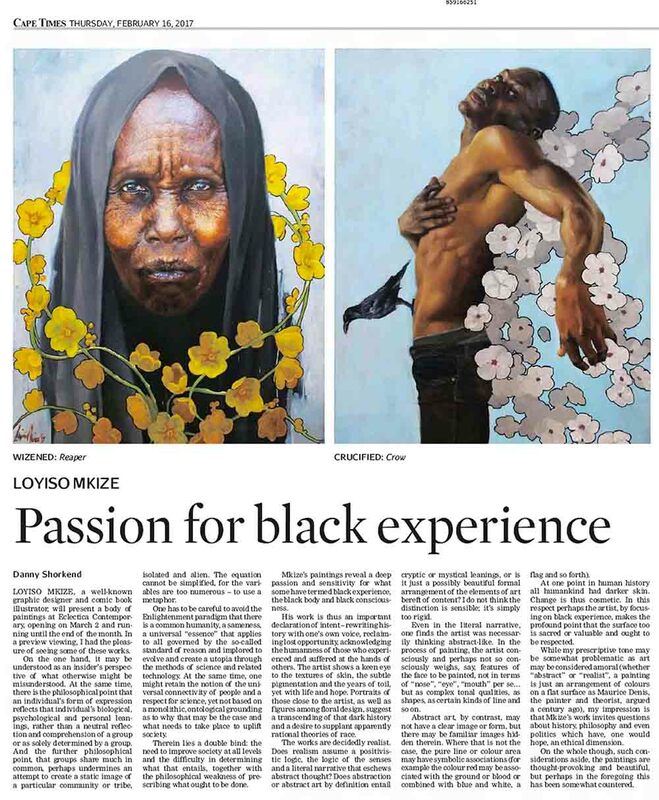 Loyiso Mkize is one of South Africa’s best known graphic novel and comic book illustrators, being one of the foremost contributors to the Sunday Times supplement SupaStrikers but turns to painting for creative expression and as an avenue for his personal, political and social commentary. 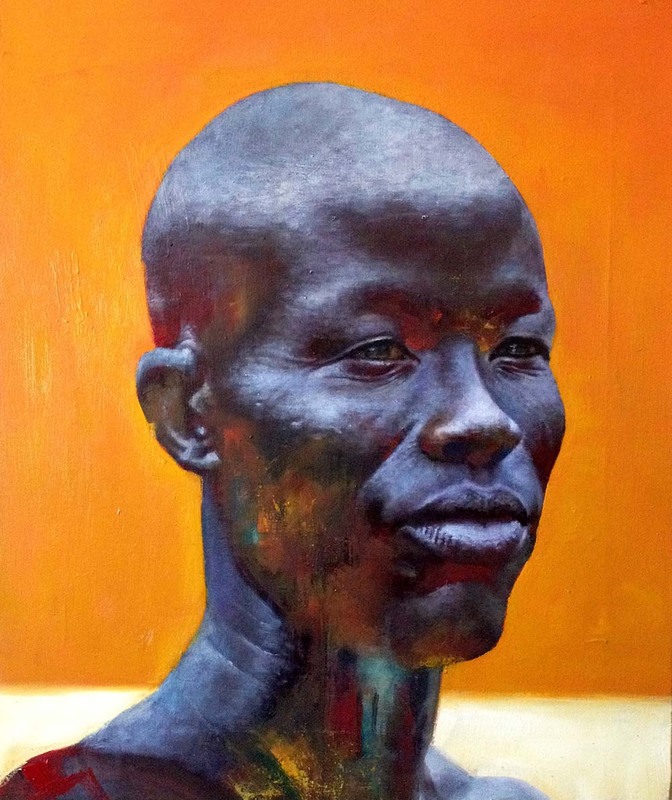 The paintings often depict expressive faces, focusing his work in portraiture because of his fascination with skin, texture and the emotion that is conveyed through facial features – notions of the soul, the spirit and ultimately to illustrate his understandings of the true African experience in the contemporary art world. 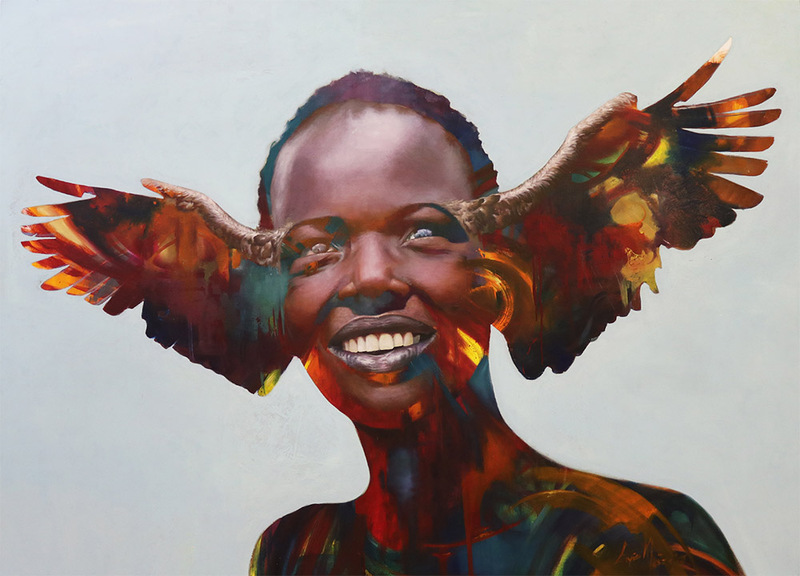 Mkize’s use of highly stylized and technically brilliant brushwork creates realistic imagery that leans toward the surreal with his decorative framing and imaginative illustration, adding multiple layers to each portrait with character references and the impression of self-awareness in each of his works. 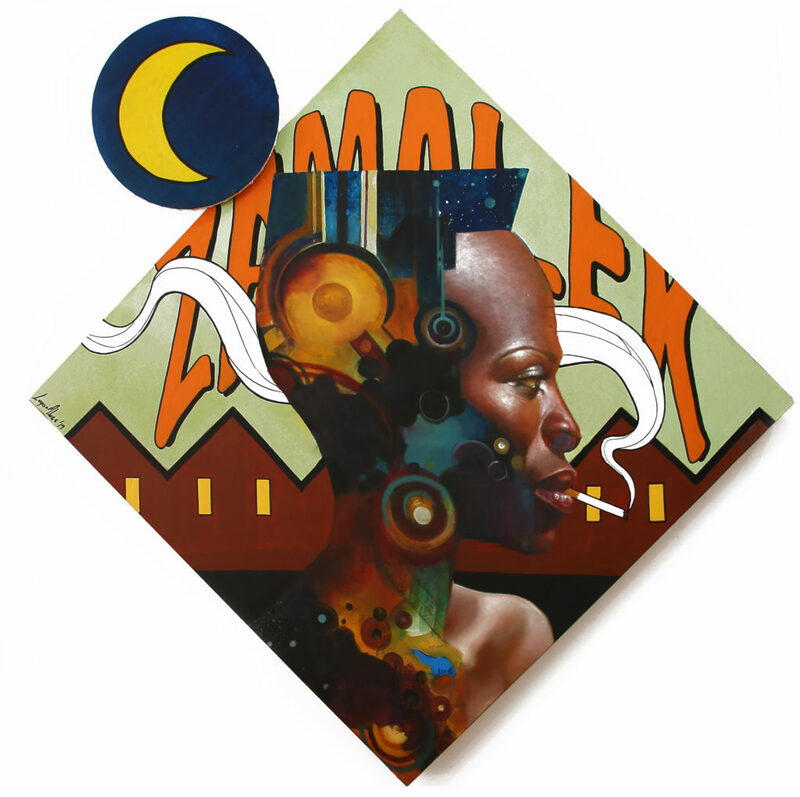 Loyiso Mkize is a South African visual artist and was born in Butterworth, 19th March 1987. He studied at CPUT in Cape Town where he achieved his diploma qualification in graphic design in 2009. 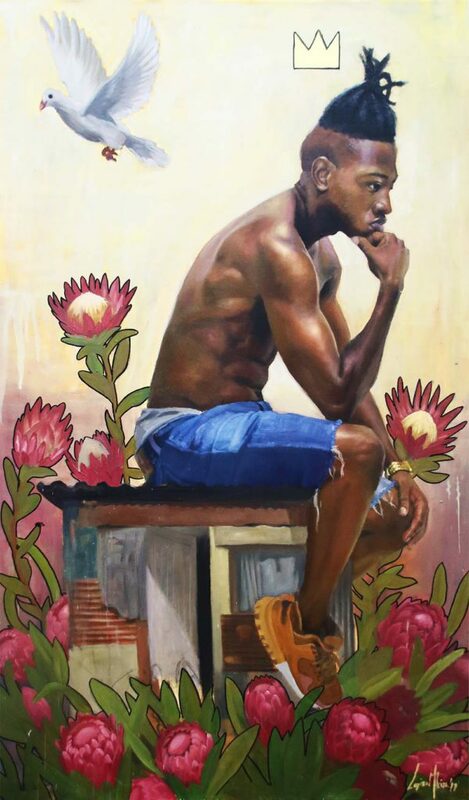 In 2015 he founded his own visual arts and communication company Loyiso Mkize Art (Pty) Ltd which publishes the energetic South African superhero comic book, KWEZI. 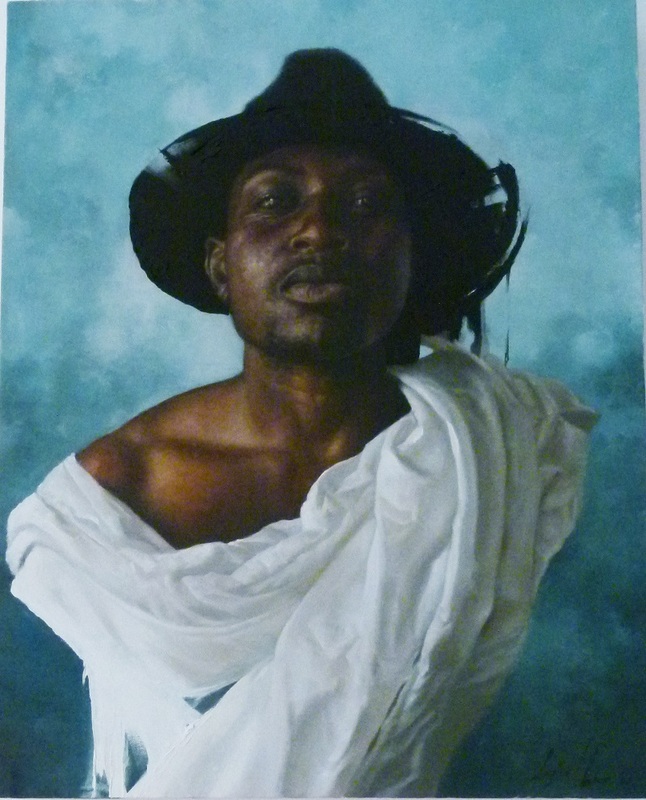 This follows his long standing and consistently growing career in the fine arts. In late 2013 however, Loyiso registered his visual arts, Loyiso Mkize Art (Pty) Ltd company which he aimed to create proudly South African entertainment products and communications solutions. A few months later, in 2014, Loyiso developed and published the first South African superhero comic book series, KWEZI, which is now the company’s flagship product. The comic book quickly rose to popularity with new episodes being published in steady succession. The obvious remedy to meet with the demand as well as extend availability nationwide would be to partner with David Phillip publishers. From June 2016 KWEZI then went on to be published at all Exclusive Books stores and Bargain Books stores nationwide. The partnership has published two KWEZI collector editions thus far enjoying regularly enjoying best seller status in some prominent stores. 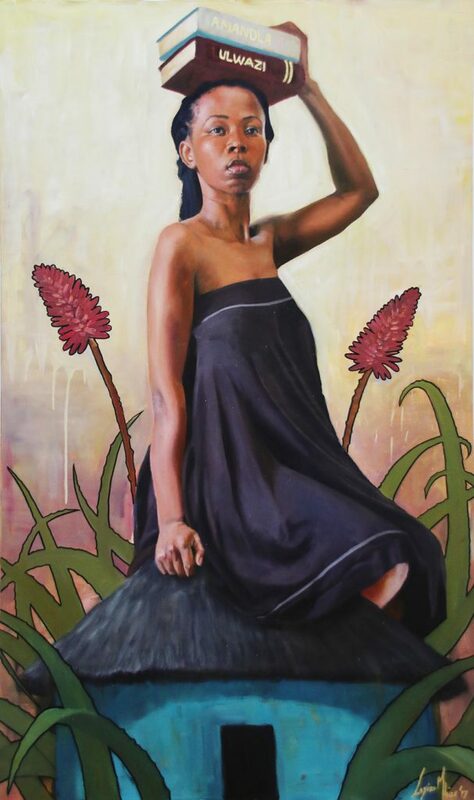 Loyiso Mkize Art subsequently developed projects such as the Earth day campaign commissioned by 702 radio and Cape Talk fm in 2014. 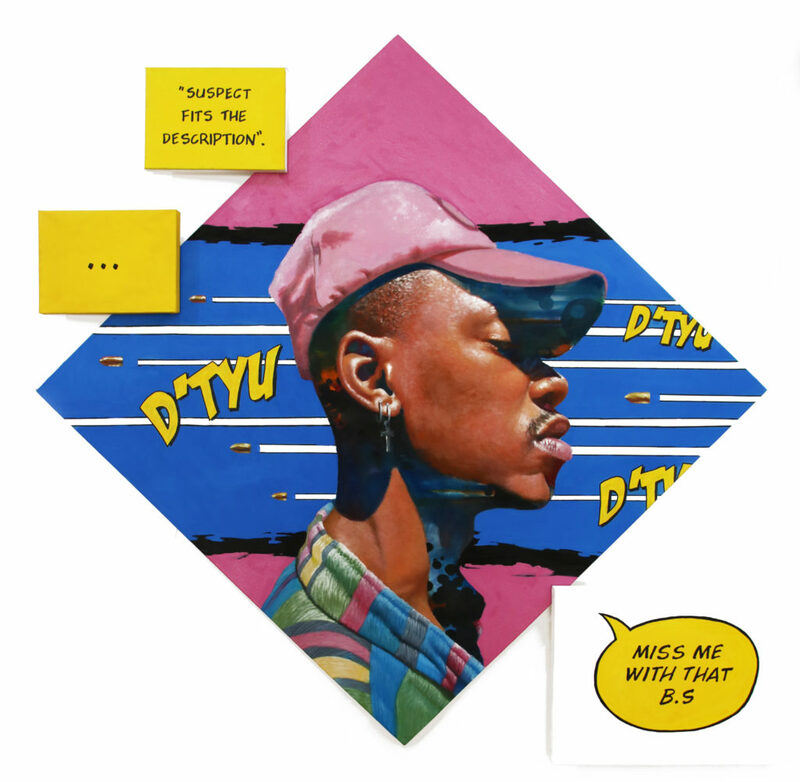 The company would later develop an Entrepreneurship awareness comic book titled Young Hustla for and entrepreneurial training and facilitating company. Most notable was the anti bullying comic book commissioned by the American comic book company, Archie comics which was developed and published in the USA in late 2015. 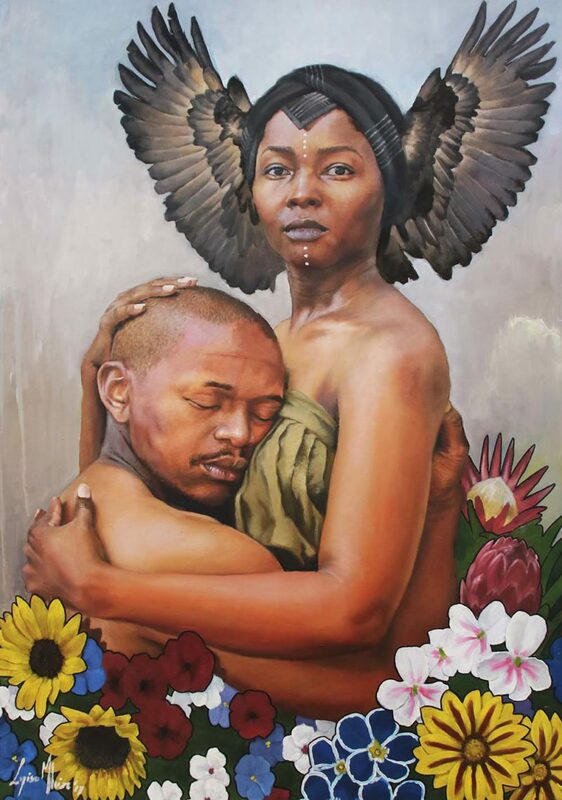 Loyiso’s painting career began officially in 2009. 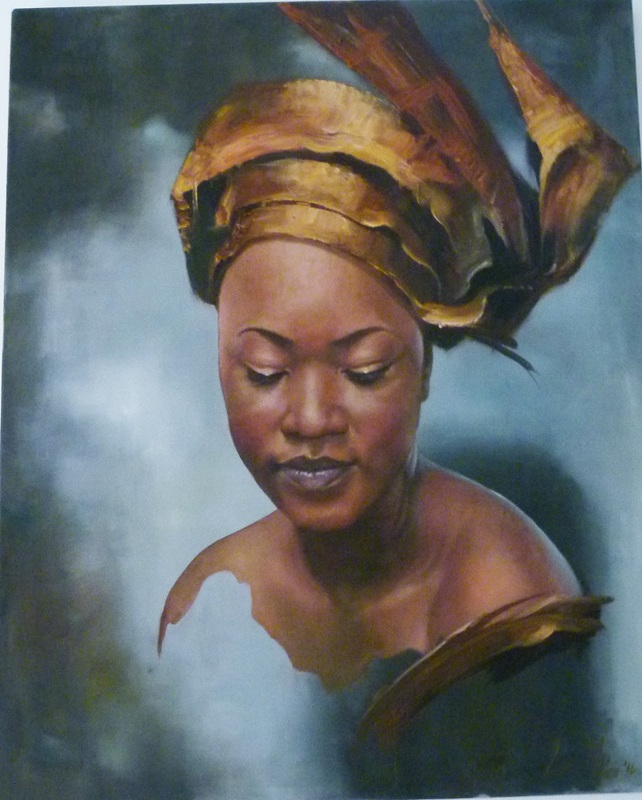 Having discovered late in his life that he had a passion for portrait painting this artistic expression has grown over the years with great success. 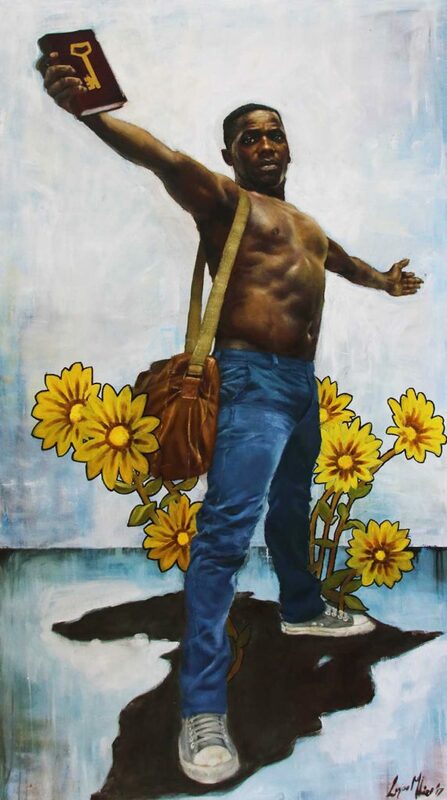 Painting has become a tool that he uses to document and express views and ideas. He generally paints with oil paint on canvass. 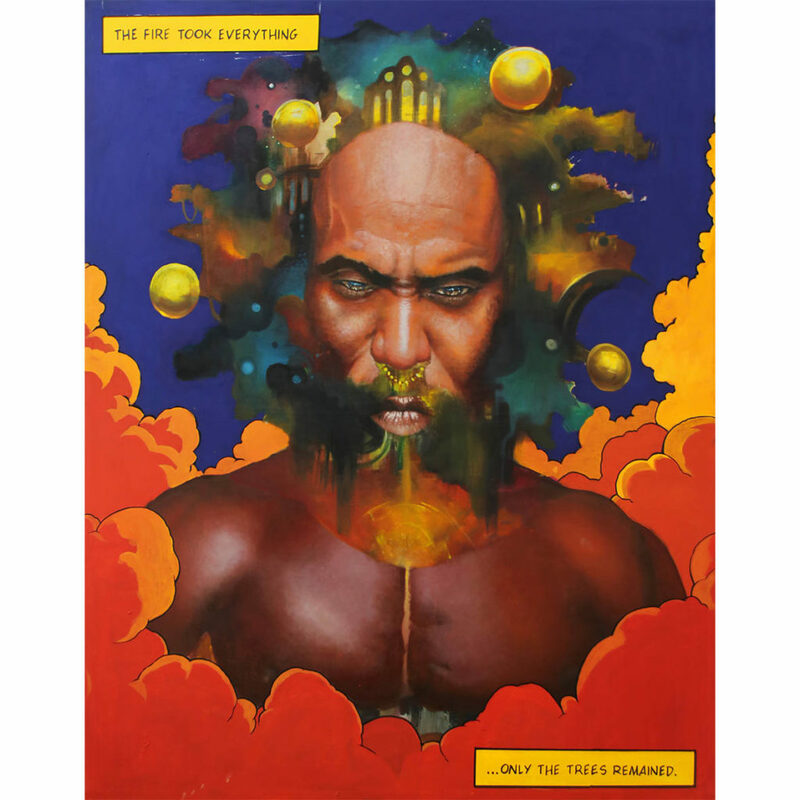 His subjects, generally African, explores the complex nature that makes up this modern man, his environment, predisposition and culture. 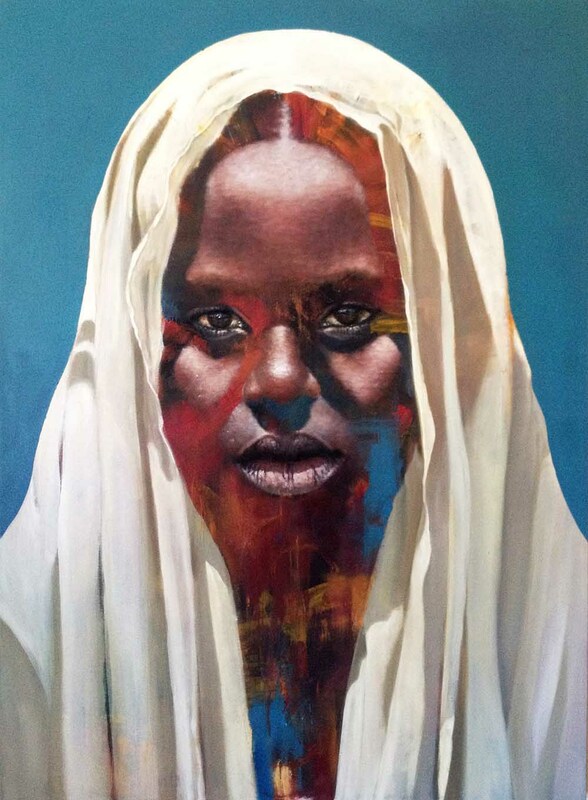 Mkize focuses on the emotion, emphasizing brush strokes on skin texture and the eyes. 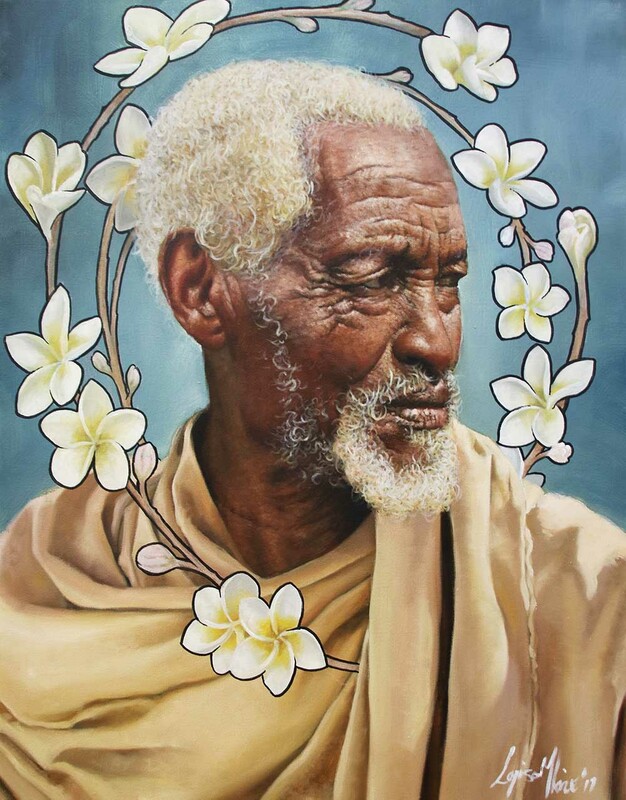 Finding the subject’s spirit and communicating that through the medium is an effort that he has found his voice in. 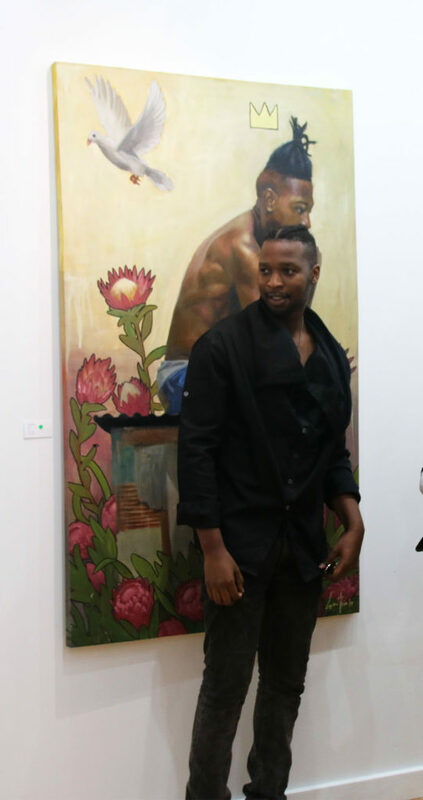 His international participation has enjoyed highlights such as being commissioned to produce nine artworks for the Hollywood crime thriller, Momentum, directed by Stephen Campanelli, and starring Olga Kurylenko, Morgan Freeman and James Purefoy..
Loyiso has also been involved in various organizations and foundation. 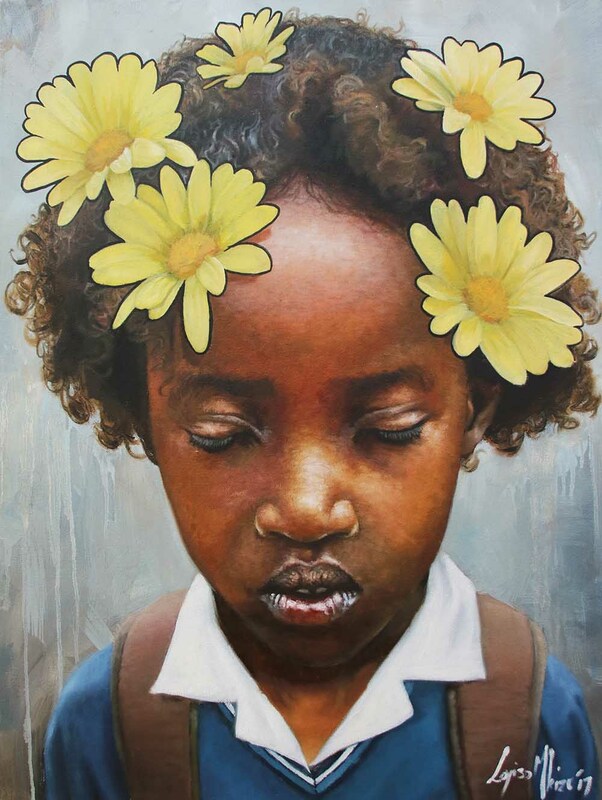 He was the commissioned by the Rotary Club of Sea Point to paint a massive Nelson Mandela portrait which was later successfully auctioned in the Leeuwenhof Premier Residence in Cape Town. Loyiso Mkize has also been involved in Knights whisky ad campaign endorsing the Authentic South Africans campaign. 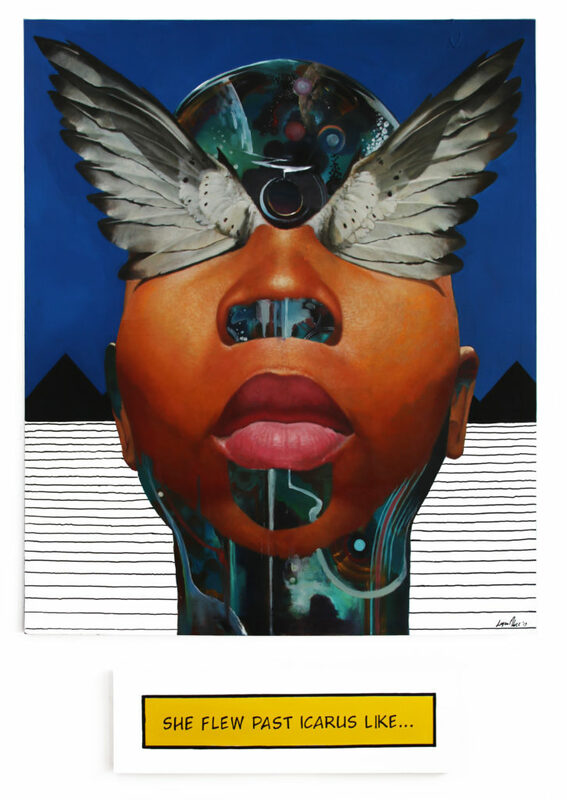 This collection is an exploration of the contemporary black experience, encapsulating the varied themes that inform the modern black landscape. This body of work intends to extract familiar key aspects to take apart, understand and reassemble what belonging to this group is and what belonging means. Specifically, how we are represented in conversation with how we choose to represent ourselves. Both on the continent and the diaspora this topic is complex in its contextual detail, historical reference and cultural diversity. It is lush with conflicting aspects that are continuously entwined with peoples’ reality and lives. Conversations and instances that reverberate through this identity, where systems dictate how they must navigate in order to survive however incoherent in nature or maddeningly destructive it may be. It is in the nuance of how these societal absurdities become normalized that my story begins. In this body, the figures appear radically aware of themselves and their predisposition – even in their placement as something to be viewed. They stick out of their cages and scripted suppositions, exuding an alternative impression of humanity. They embody love, strength, dignity, perseverance and pride. Each depicted presence is a declaration of alive-ness, a determination of uplifted consciousness, and a reclaiming of dignity. It is their re-appropriating/ repurposing of notions that simply prove inconsistent with the ever expanding black man or woman’s sense of self. 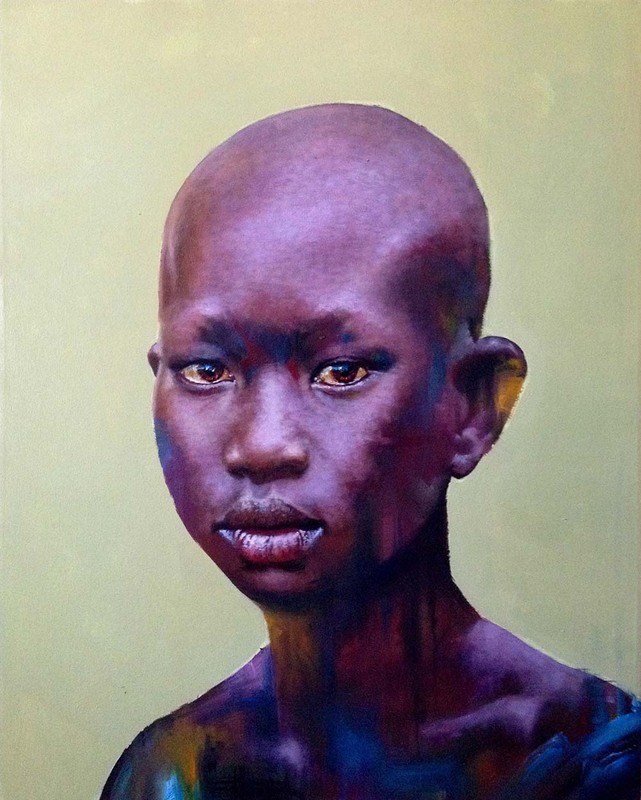 These are portrait paintings with attitude. Like the narrative of their subjects, they insist on the viewers’ attention. Combining the refined classic style of painting with abrupt cascades of floral motifs amplified by dark outlines, there is a playfulness between the real and unreal. This blend of styles is also symbolic of nature overcoming nurture. I celebrate these people as I see their manifestation as subjects in the real world everyday. On the streets, on the news, in magazines, on television; it is in these moments that I find myself in awe. There is a spirit of overcoming which has taken over the past catalogue of horrors, horrors that a group people have endured purely by the colour of their skin. It is a spirit of righting wrongs and existing unapologetically. It is existing gloriously regardless. That is BLACK MAGIC.